As a garage door opens to reveal his surprise Christmas gift, the jaw-dropping expression on this man's face is priceless when he sees - complete with red bow - a new Audi S4. We particularly liked the caption at the end of the video, proving that (despite exhaustive marketing efforts) BMW has yet to corner the market on Joy. 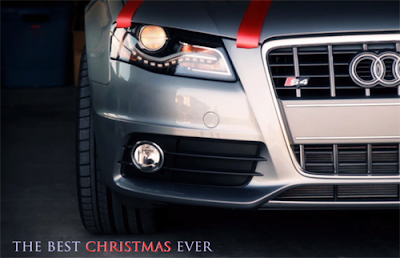 Whether with a new Audi or well loved old one, we hope everyone has enjoyed their holiday season.